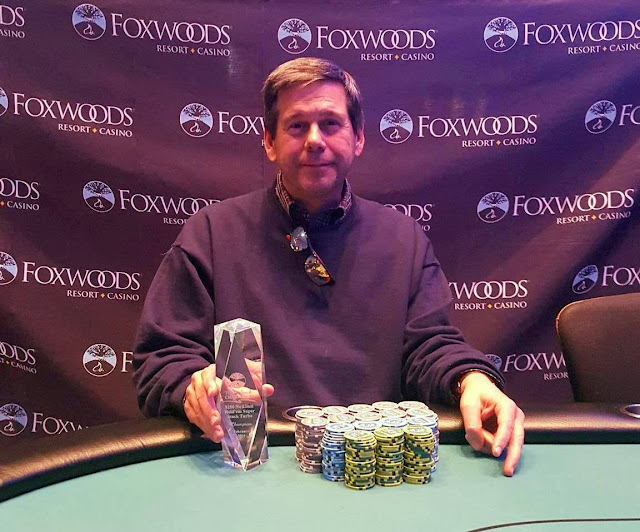 After a chop deal between Nathel "John" Fontana and Soukha Kacchitavong, Fontana will be the trophy winner and take home $5,322. Kachittavong will take second place and $8,188. Alfred Borges raises to 300,000 in the small blind, and Soukha Kacchitavong calls in the big blind. The flop comes [9c][7c][6h]. Borges shoves all in and Kachittavong calls. Kachittavong shows [kc][7h] and Borges says, "You called me with a seven? Come on dealer. Throw an eight out there." The [3d] turn and [js] river do not improve his hand, and Borges is eliminated in 3rd place. 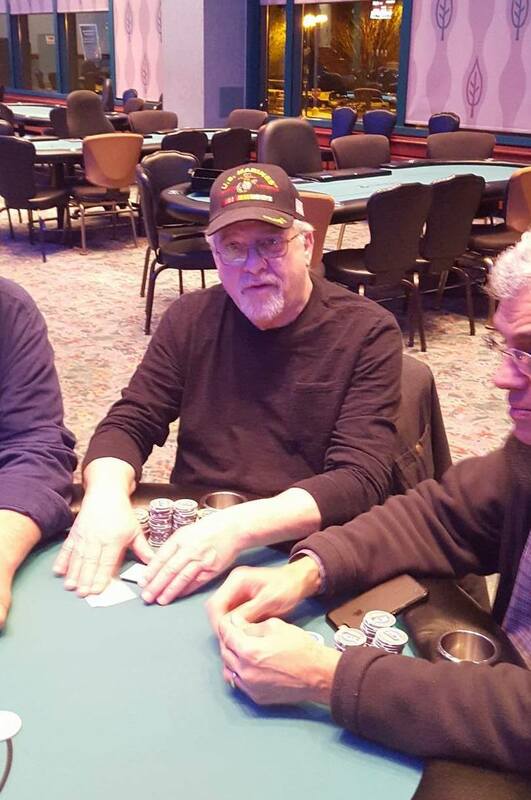 Edward Cotter shoves all in on the button for around 200,000. Jascelino Lee re-shoves over the top in the small blind. And Soukha Kachittavong shoves all in for the most in the big blind. The board runs out [qs][10c][6h][7d][10s], giving Kachittavong the winning player and eliminating Cotter in 5th place, and Lee in 4th place. Soukha Kacchitavong raises to 200,00 from under the gun. 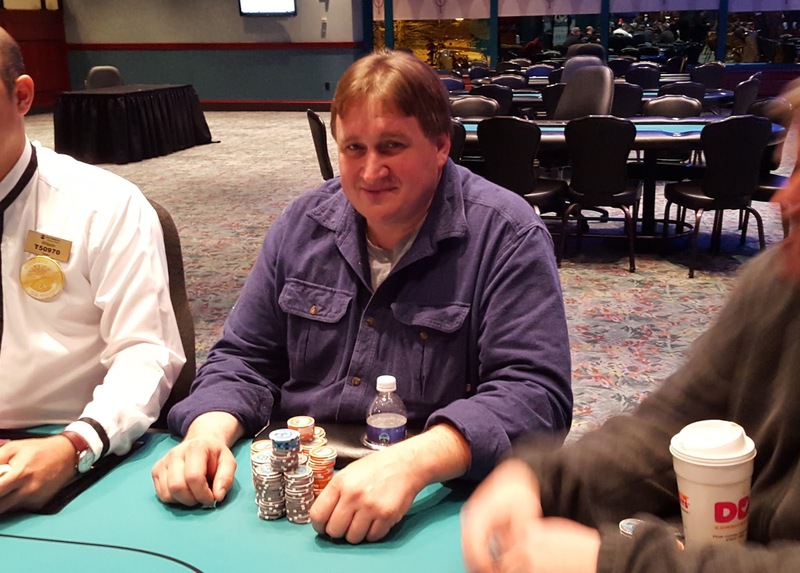 Action folds to Edward Cotter in the small blind who shoves all in for around 800,000. 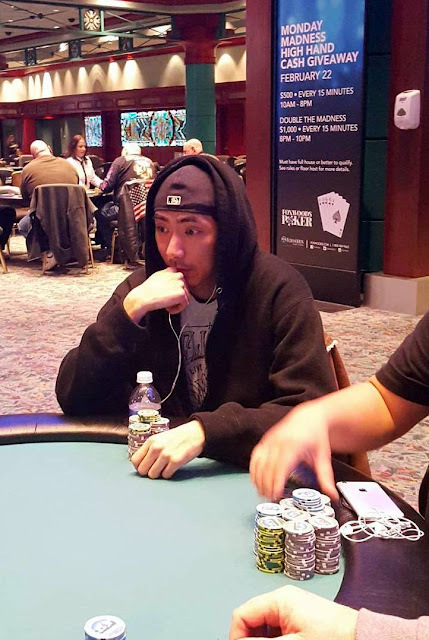 Jascelino Lee shoves all in for less in the big blind, and Kachittavong folds his hand. The board runs out [9c][8c][4c][ac][6h], giving Lee the flush, and awarding him a full double up. Blinds = 30,000/60,000 with 10,000 ante. Edward Cotter limps in under the gun. Action folds around to Daniel Stewart in the big blind who shoves all in for right around ten big blinds. After a moment of thinking about it, Cotter calls the all in. The flop comes [5d][3c][2c], leaving Stwart's eights in the lead. But the [4s] on the turn gives Cotter the straight. Unfortunately for Stewart, the [7c] on the river does not improve his hand, and he is eliminated in 9th place. Taking home $854. There are 18 players remaining after Don Rivers hit another river to knock two players out simultaneously, leaving the remaining field in the money. 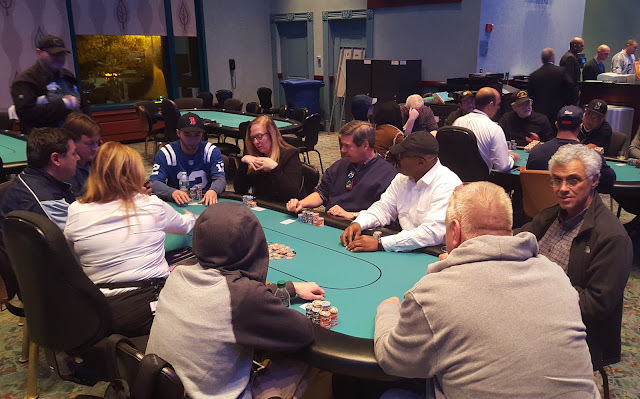 Below are photos of the final two tables. Wendell Barnes raises to 55,000 in the cutoff. The player on the button calls, as do both of the blinds. The flop comes [7s][7d][3s]. Both blinds check, and Barnes shoves all in, having all three of the other players covered. The player on the button goes into the tank for a solid minute before releasing his hand. The small blind quickly folds, and the big blind folds her pocket fives face up. Barnes flashes his cards so that only the blog staff can see. "Show one, show all," a player not involved in the hand joked. "Check the blog in the next few minutes, I'll keep you guessing until then," Barnes said with a smile. "I really think my fives were way good there, he probably had ace king," the big blind says. "You will find out in a few minutes," Barnes replies. For those wondering, Barnes did in fact fold the best hand (of the two shown), as he was holding [jd][jh]. 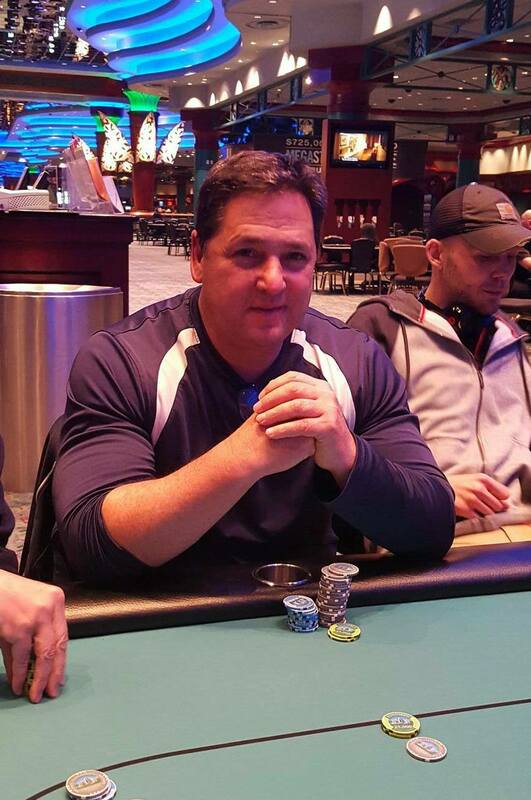 Barnes is now sitting with one of the larger stacks in the room, at 645,000 with 20 players remaining. A player in middle position raises all in. Action folds to Don Rivers in the cutoff who shoves all in for 63,500. The player on the button also shoves all in for a bit more than Rivers. The player in the big blind moves his cards forward, seemingly to muck them, but the player on the button flipped over his pair of aces before the blinds cards were officially mucked. The blind showed [10c][5c]. After a floor ruling, the button was given a three hand penalty for exposing his cards early, and the players then turned over their hands. "Your ten five was so good here," a player at the table not involved in the hand said to the player in the big blind. 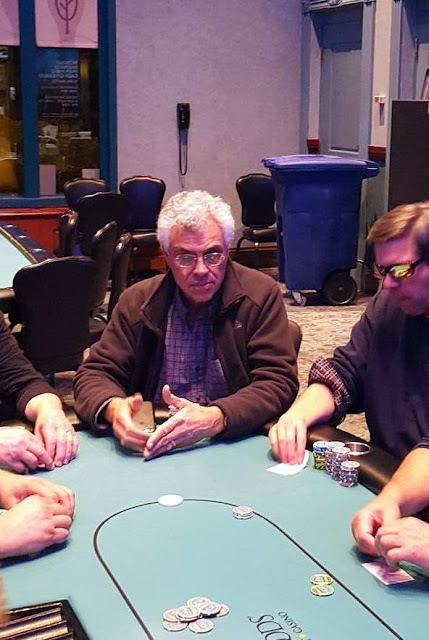 The dealer then dealt the [7s][5h][5d] flop and the table erupted with laughter. 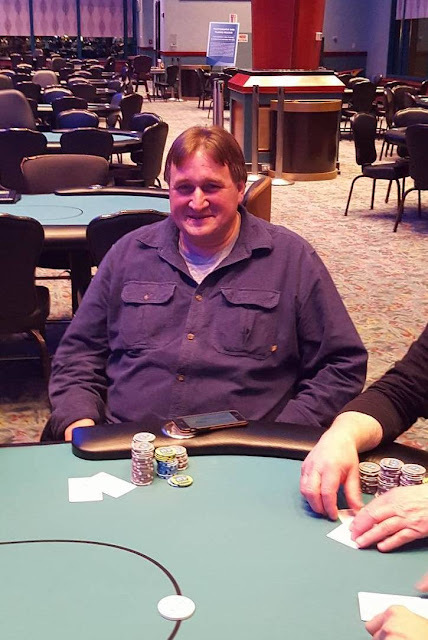 The [3h] on the turn kept the player on the button in the lead, but the [qh] on the river gave Don Rivers a set of queens, awarding him a full triple up. "Look at my shirt," Rivers said. "My name is Rivers, I own Rivers' Auto, and I win on the river." There were a total of 151 entries in today's No Limit Hold Em Super Stack Turbo Event. Players are now on a 10 minute color up break. 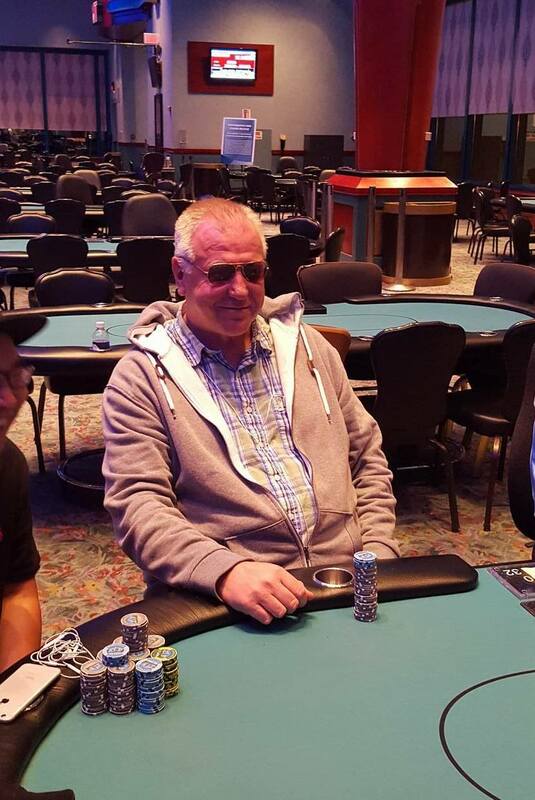 They will return to play level 16 with 1,500/3,000 blinds and a 400 ante. There are at present, 51 players remaining of the original 151 entries. Event #4 has just kicked off, and players are taking their seats. 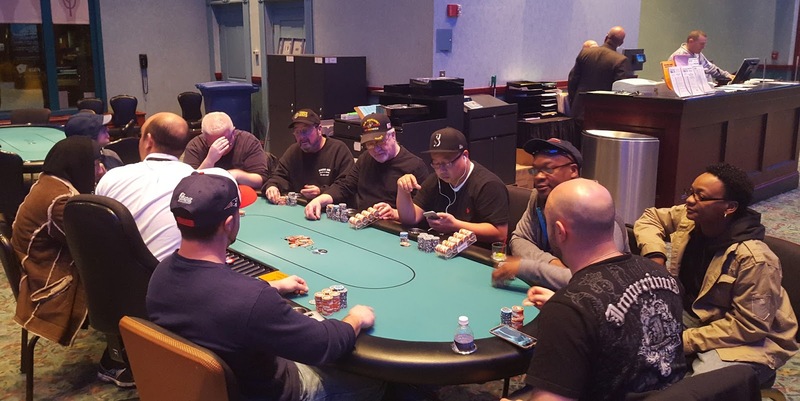 This $250 buy-in event comes with a $25,000 guarantee, 40,000 in chips, and players are allowed to enter and re-enter up until the start of level 11 (all levels are 15 minutes in length). It was bitter sweet for Cheng Dong (and his brothers), as Dong has been a regular player for years at Foxwoods. Today was the final chance to make his mark in a tournament here, as he is moving to China on the 15th. In a final chop deal, Marty Salowitz would take $15,000 for 2nd place, and Dong would take the remaining $17,684. Dong had a two-to-one chip lead, and because of that Salowitz agreed to let Dong take the trophy with him when he moves to China next week. Congrats to Dong, and best of luck in your new life adventure! On a board reading [10d][10h][6d][jc], Anthony Magistrale shoves all in and is instantly called by Cheng Dong. The [ks] is inconsequential on the river, and Magistrale is eliminated in 3rd place. David Drury shoves all in and is quickly called by Marty Salowitz. Drury is ahead holding [ad][10c] against Salowitz's [as][6d]. 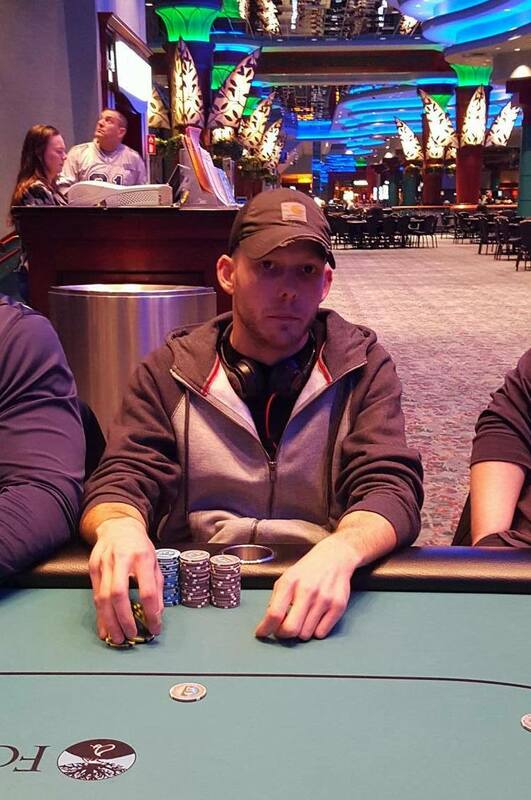 The flop comes [kh][jc][9d], maintaining Drury's lead. But that lead changes when the [6c] comes on the turn, giving Salowitz a pair of sixes. Unfortunately for Drury, the [8c] on the river is of no help, and he is eliminated in 4th place.